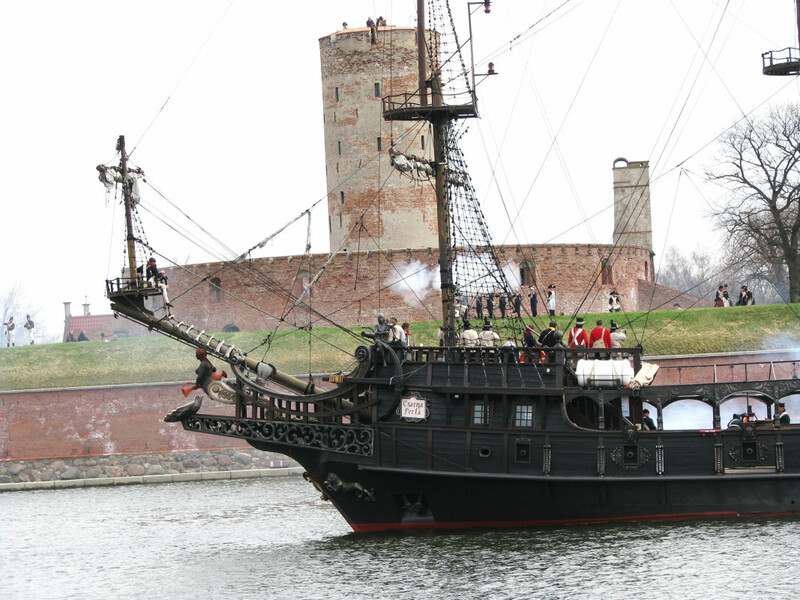 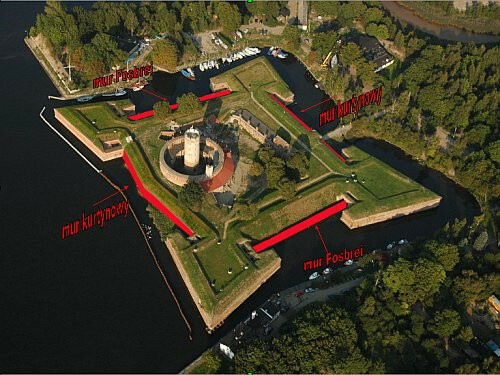 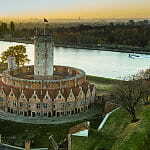 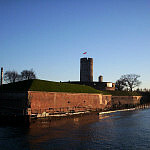 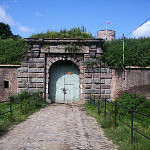 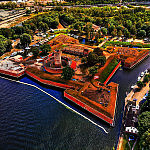 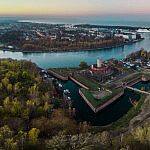 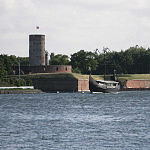 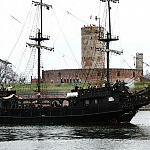 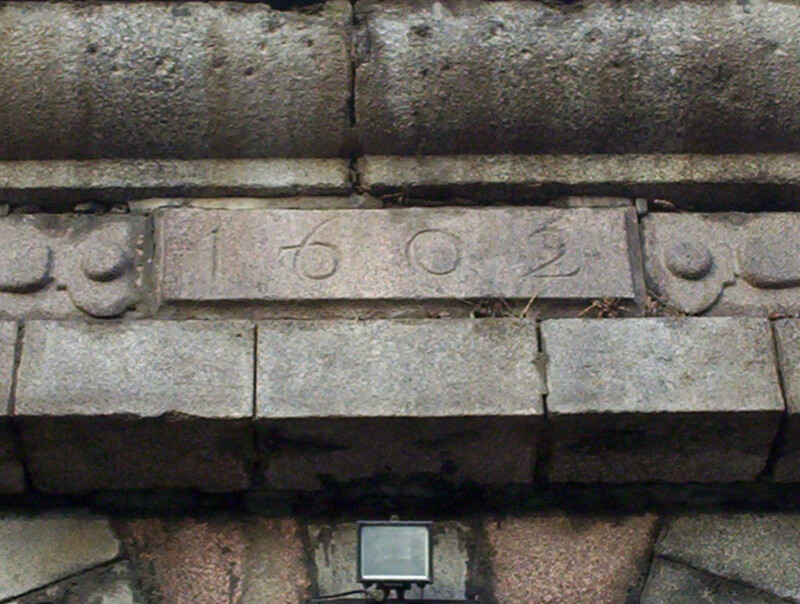 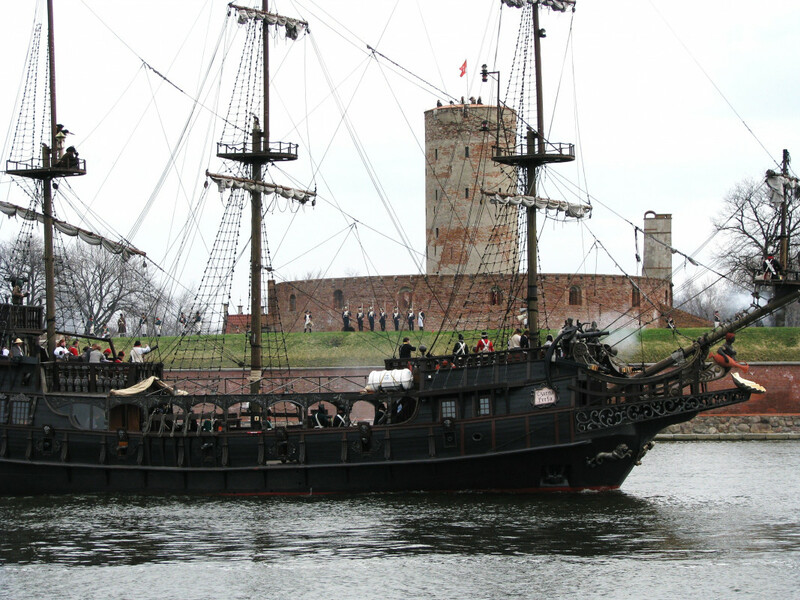 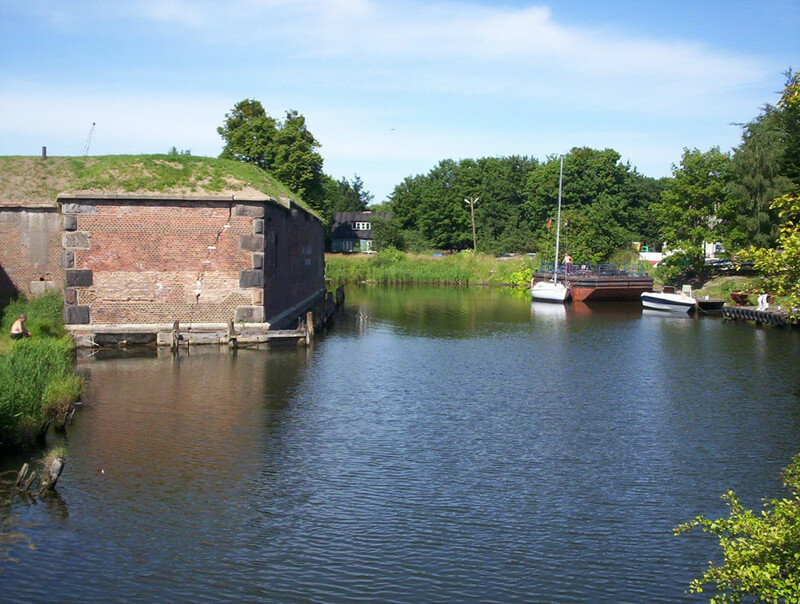 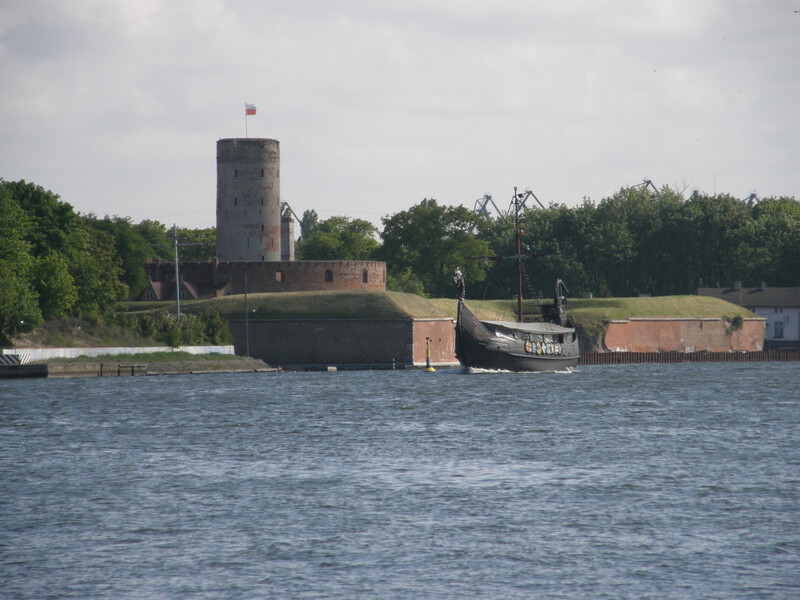 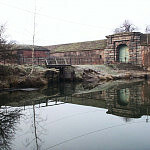 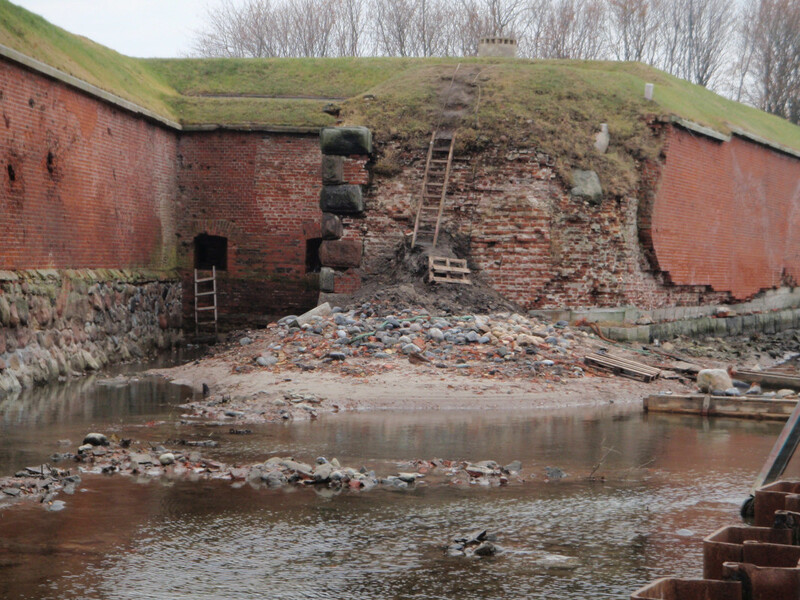 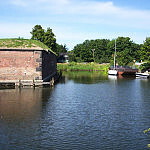 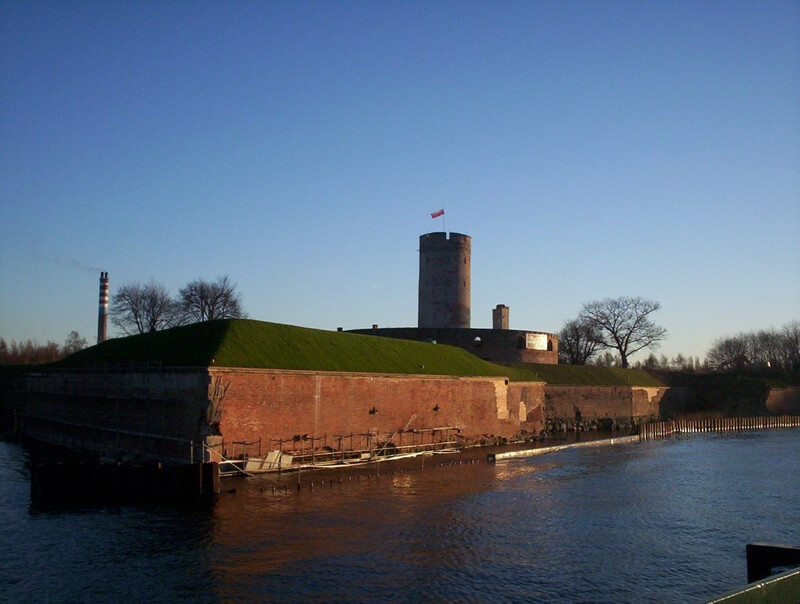 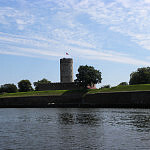 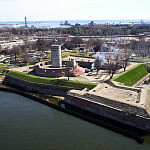 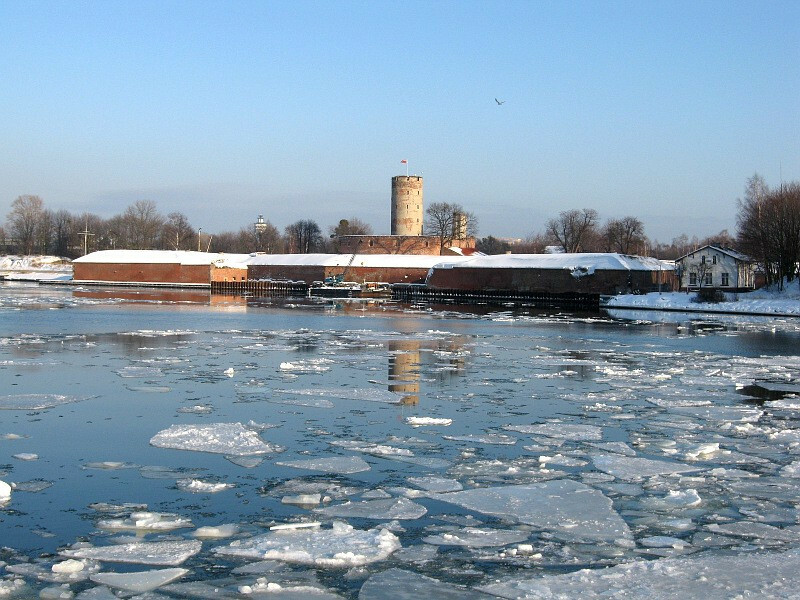 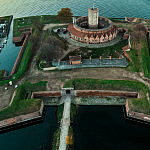 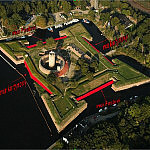 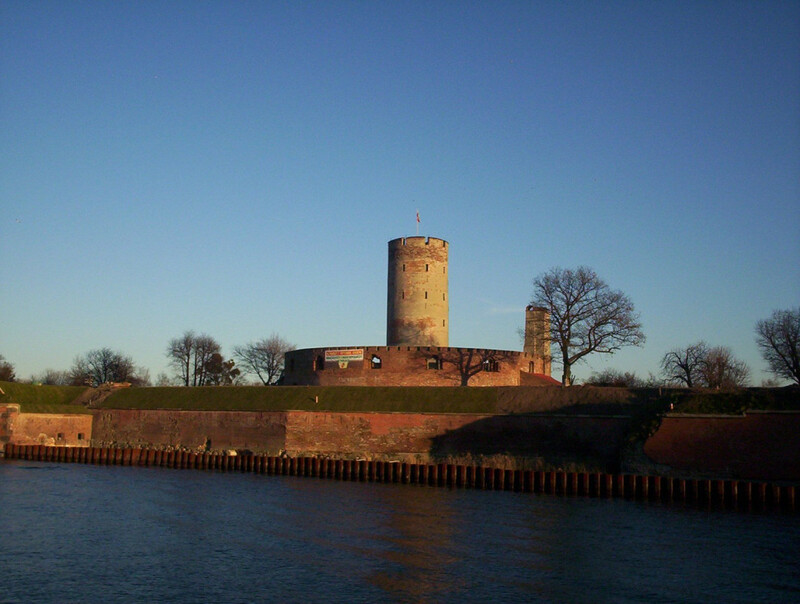 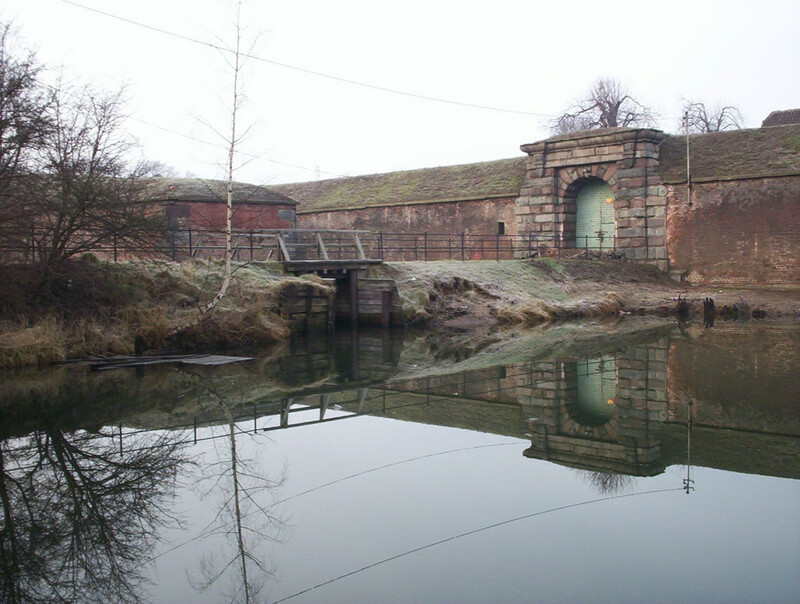 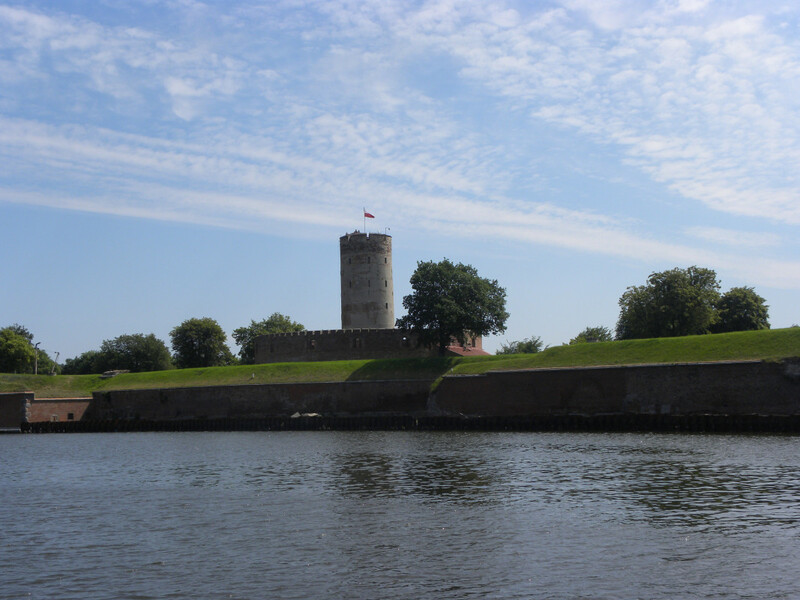 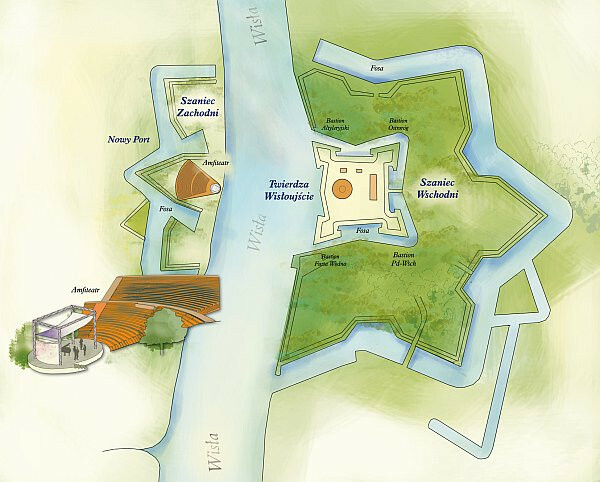 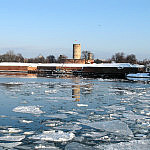 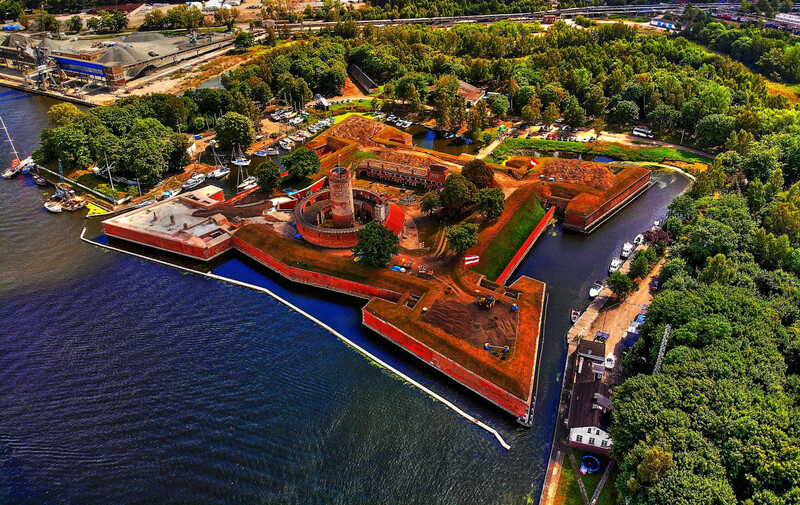 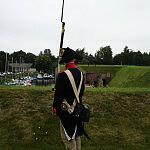 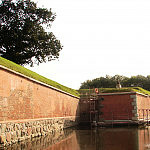 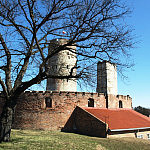 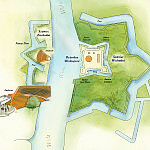 It is a unique example of a relatively well-preserved port defense structure from the first half of the 17th century.The deparment of the Tower of Wisłoujście collects artifacts connected with the unique history of this fortification. 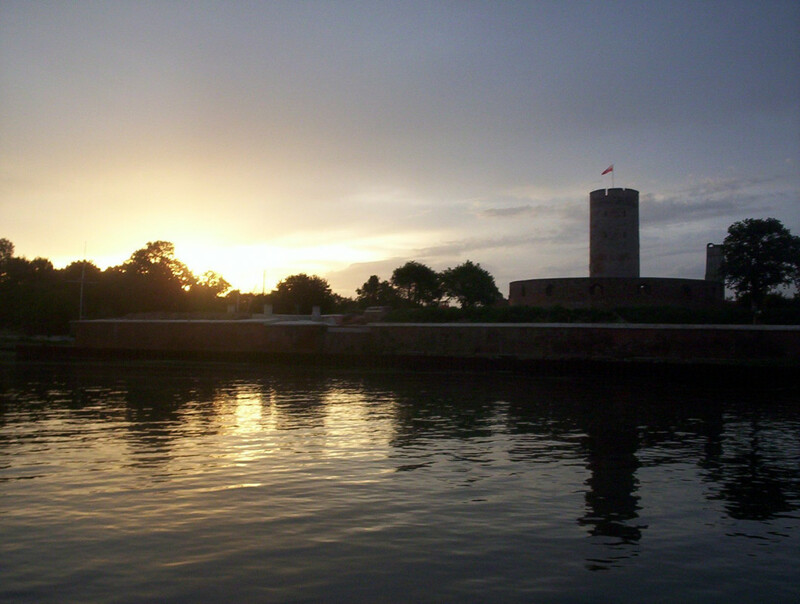 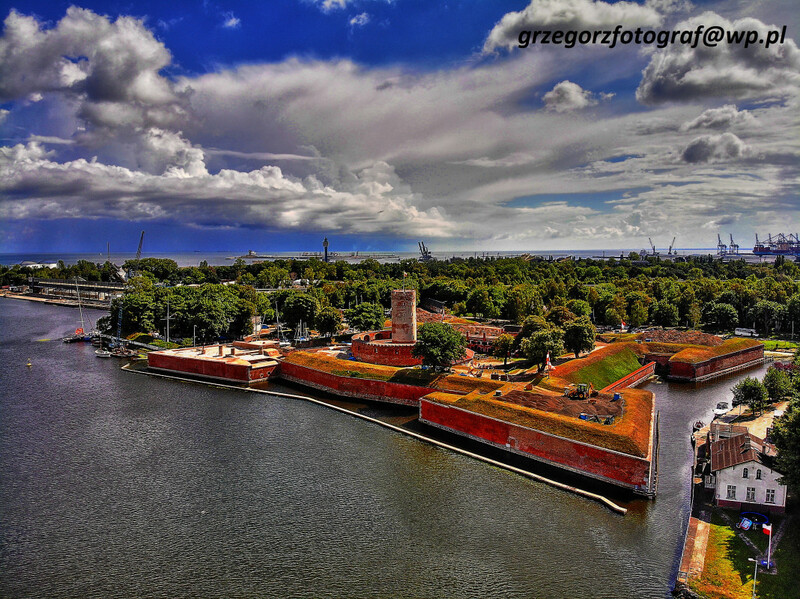 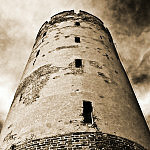 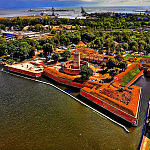 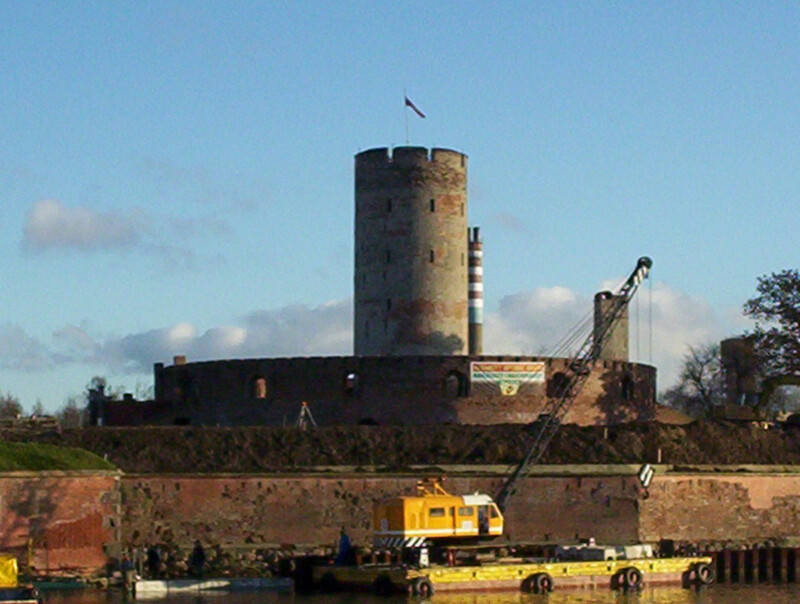 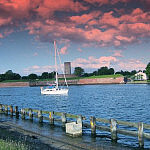 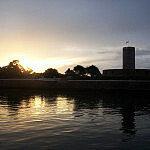 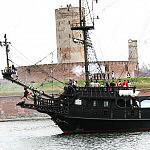 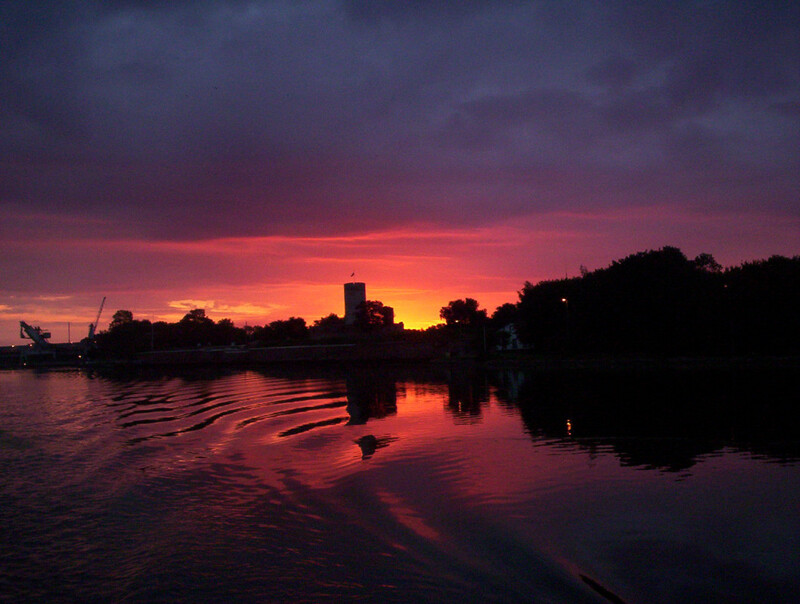 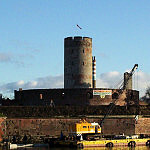 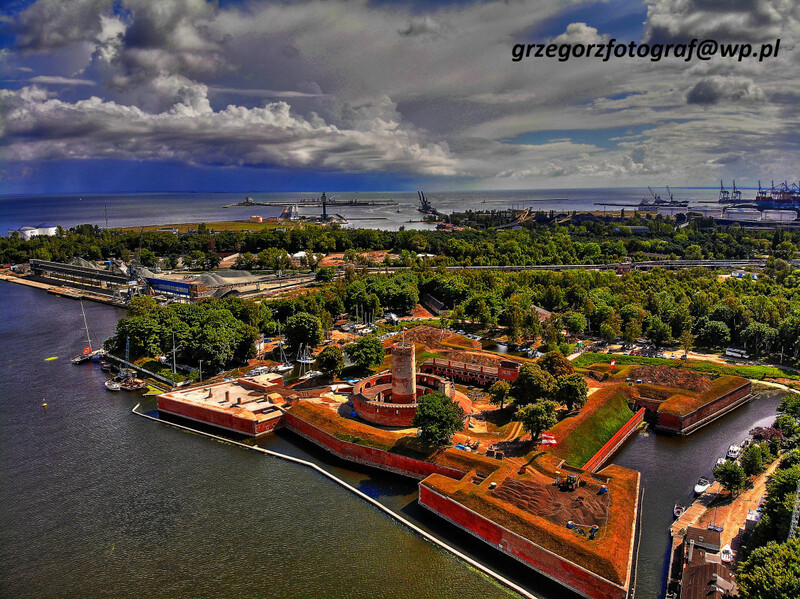 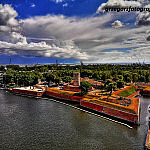 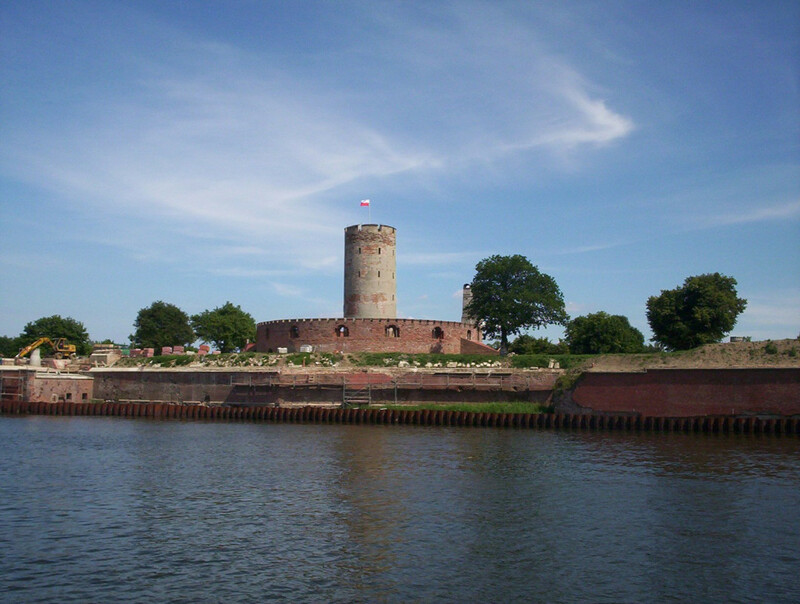 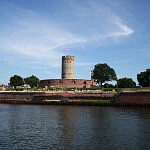 The Tower of Wisłoujście - situated right by the port canal - guarded Gdansk from the sea. 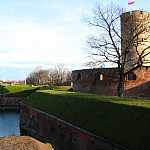 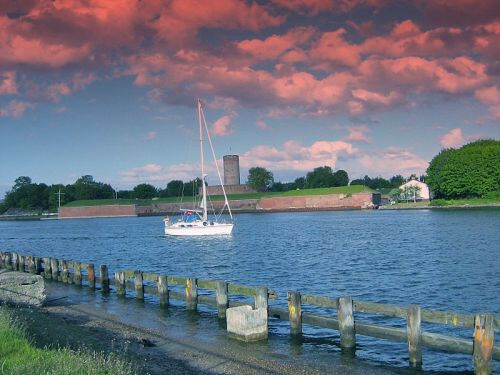 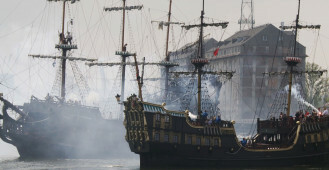 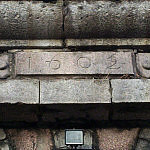 Until the 16th century it was directly on the coast. 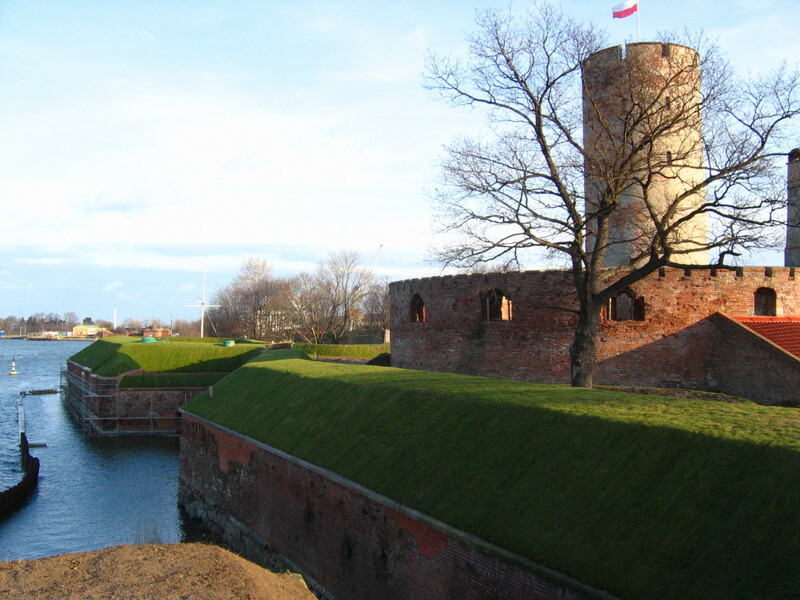 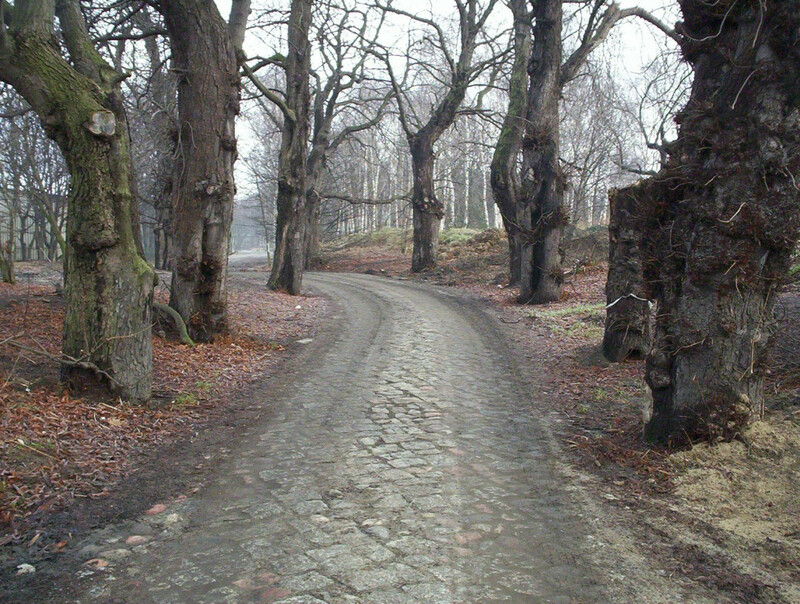 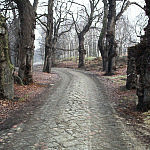 Later, the Westerplatte penninsula was formed, separating it from the sea. 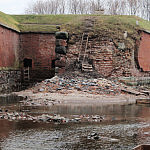 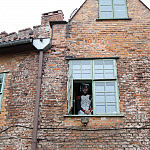 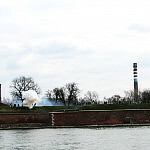 In days gone by, though, its walls were struck by sea waves and inside a fire burned to guide in ships to the port of Gdansk. 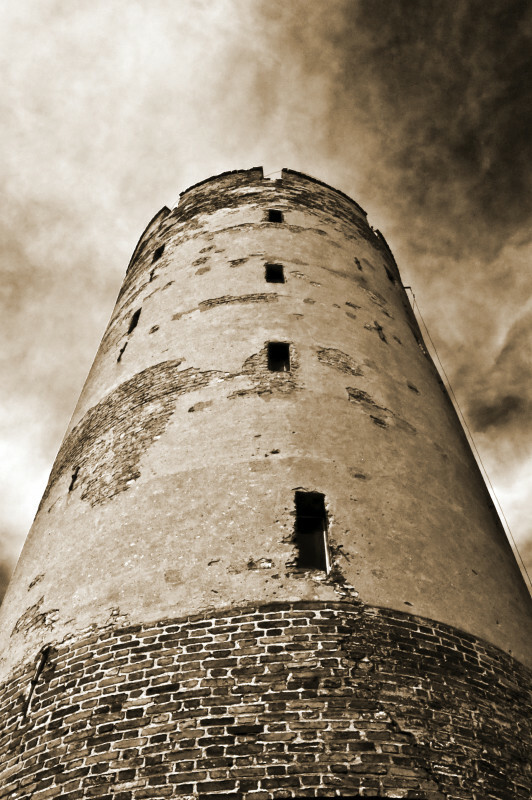 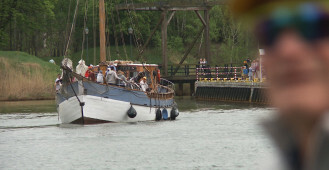 So began its tradition as a lighthouse. 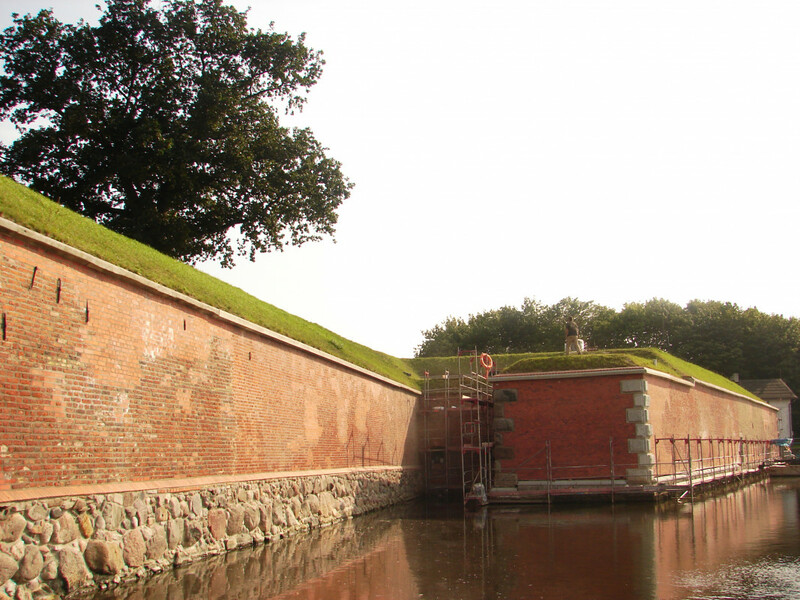 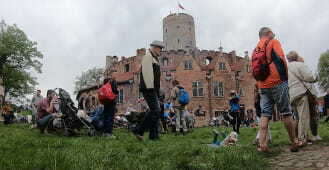 The monument is almost 500 years old and was built according to Dutch design. 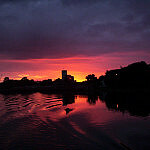 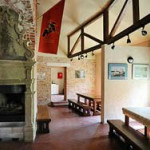 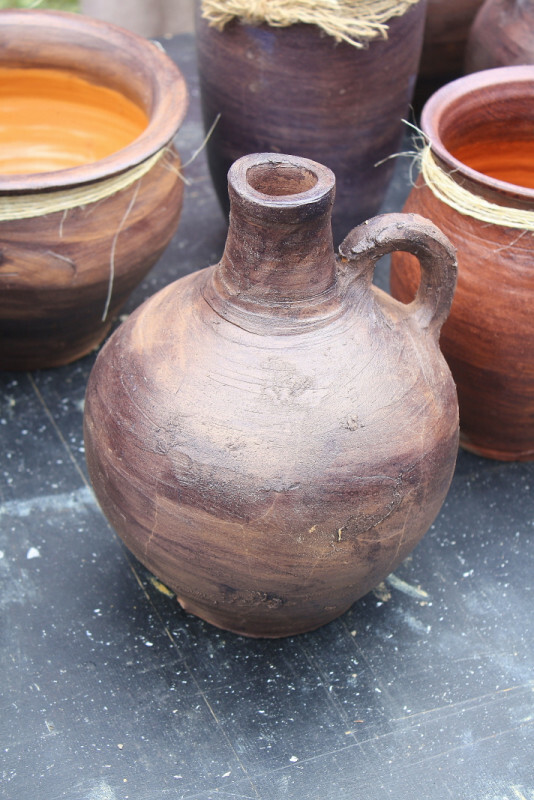 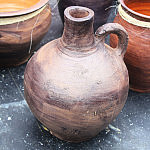 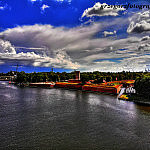 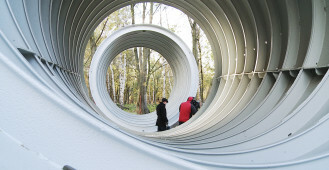 However its look is characterised by the influence of different architectural styles over the centuries. 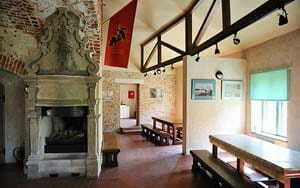 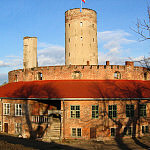 In the 19th century, the Prussians housed a prison in the dungeons of the Tower. 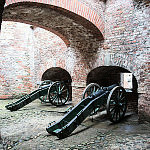 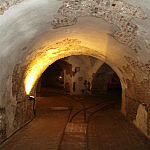 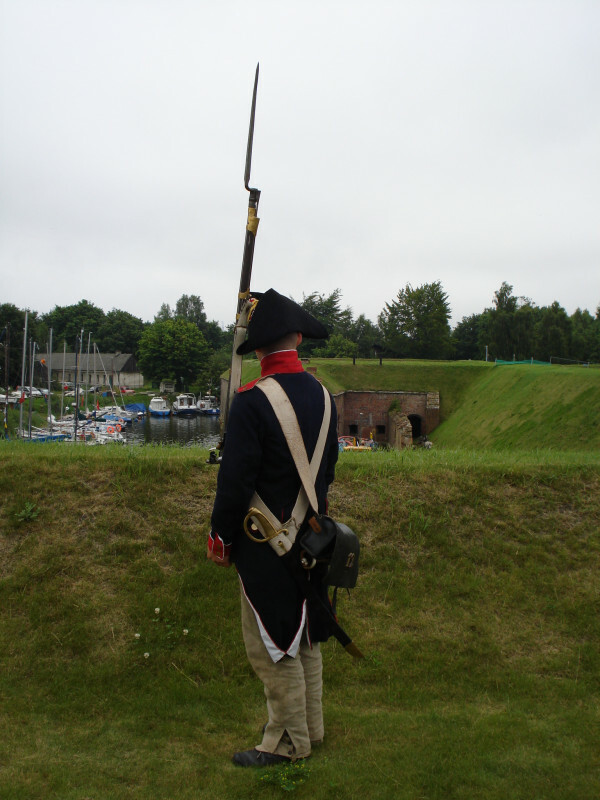 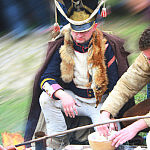 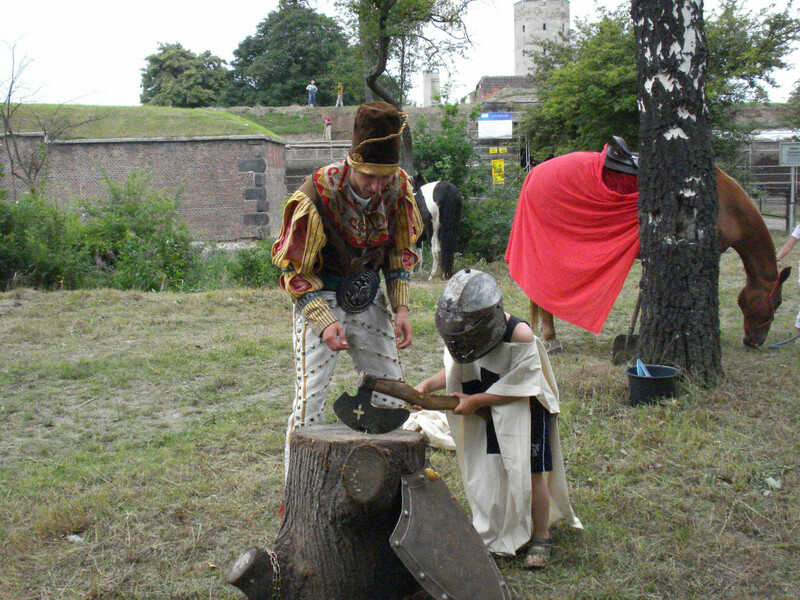 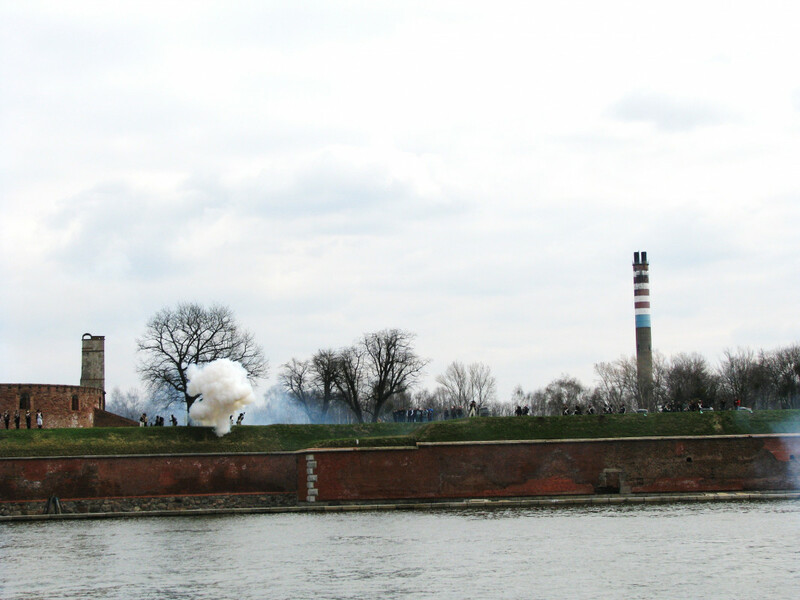 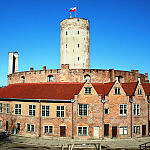 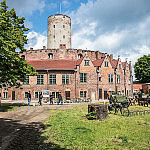 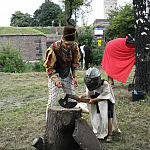 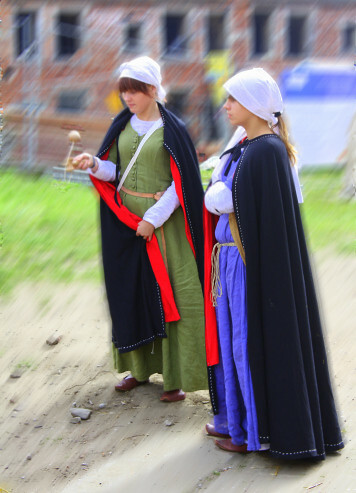 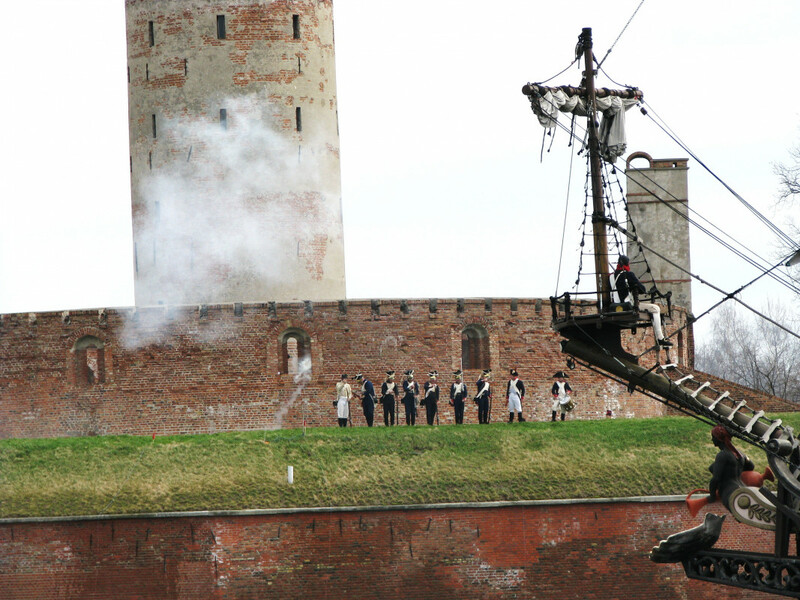 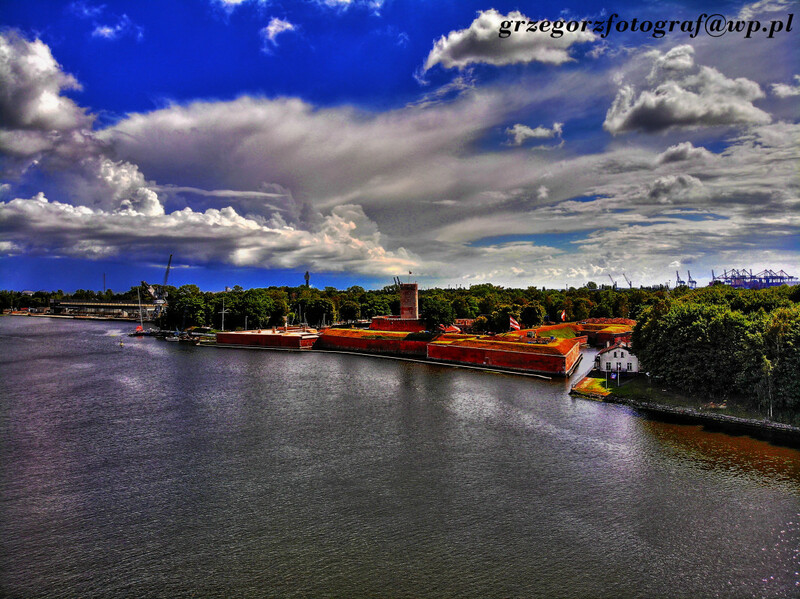 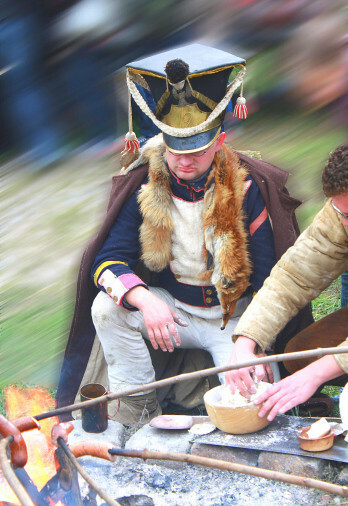 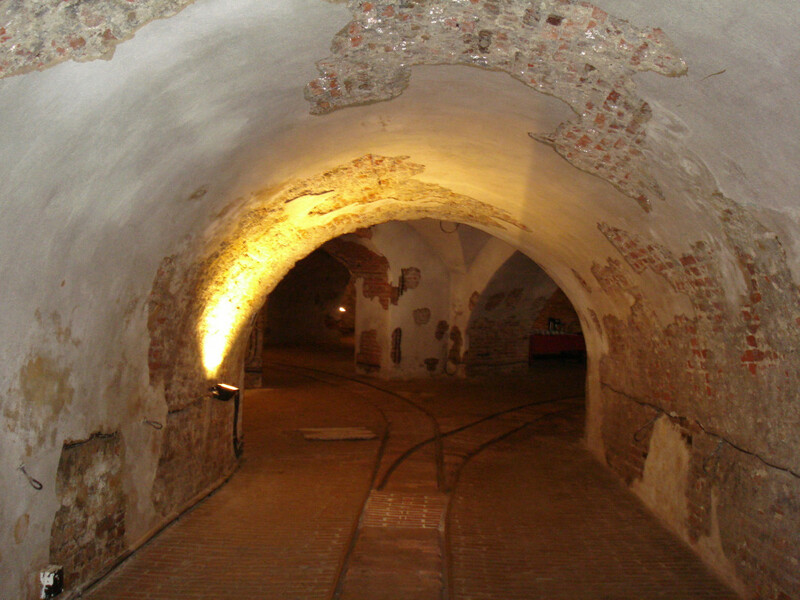 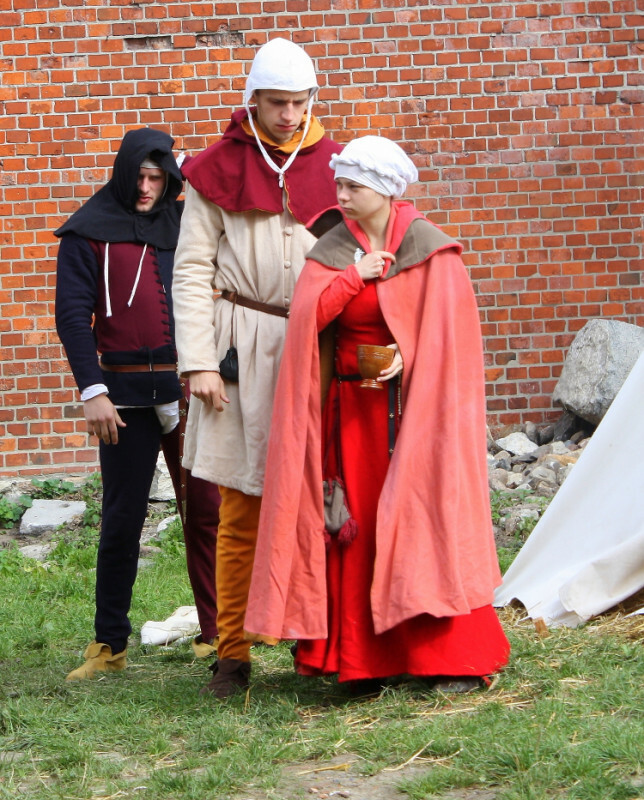 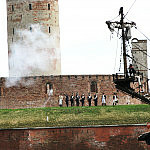 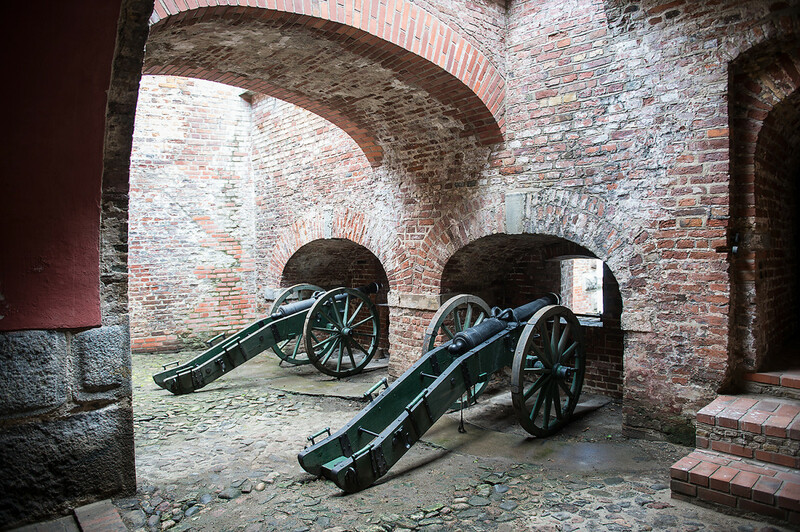 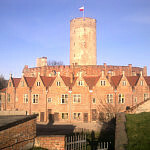 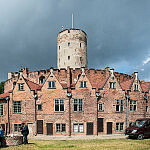 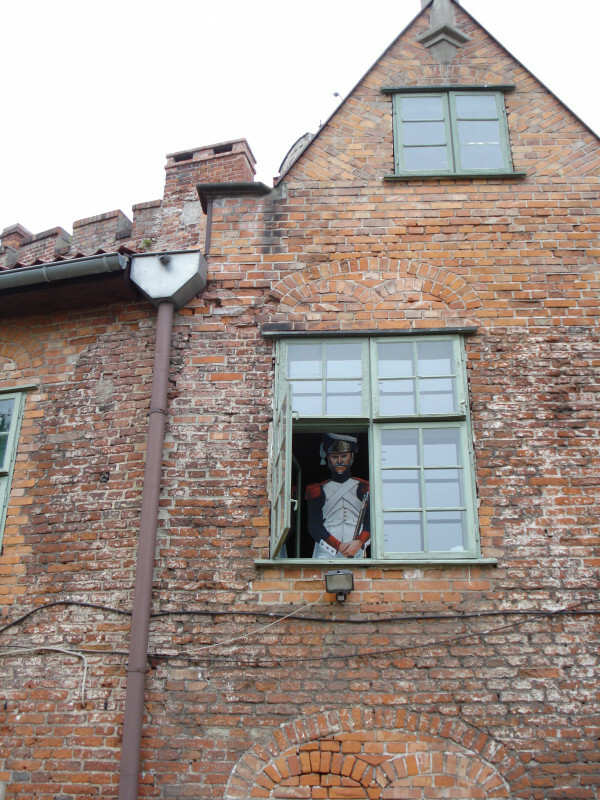 The deparment of the Tower of Wisłoujście collects artifacts connected with the unique history of this fortification. 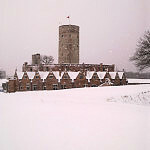 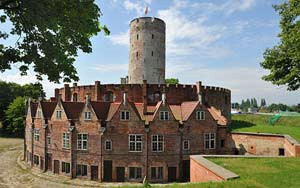 Currently closed to visitors due to renovation work. 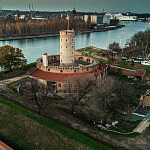 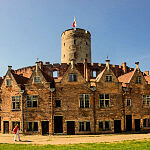 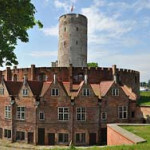 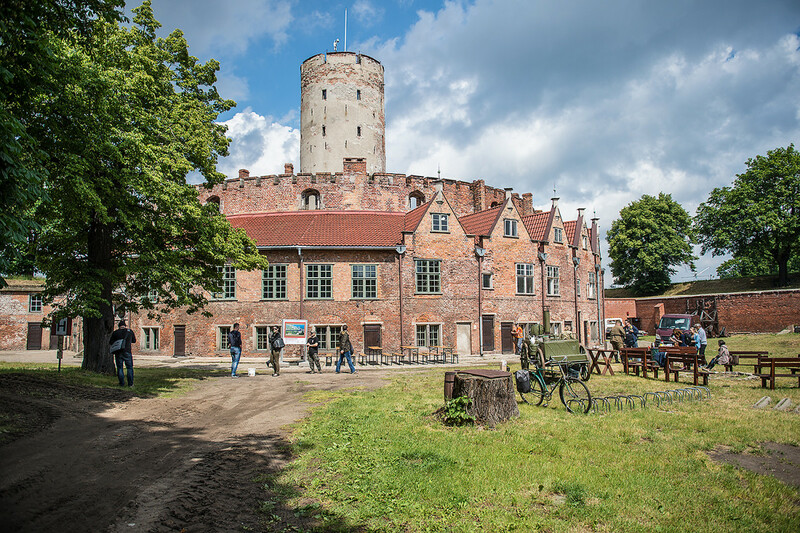 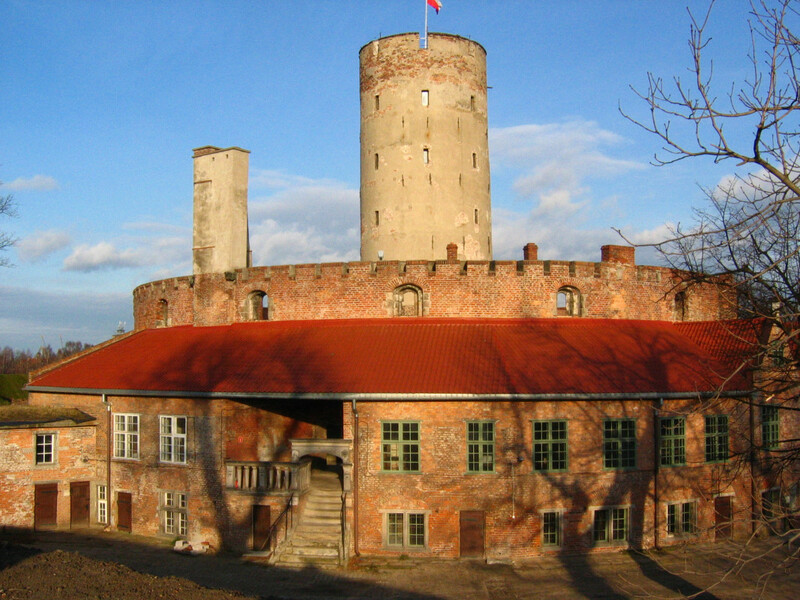 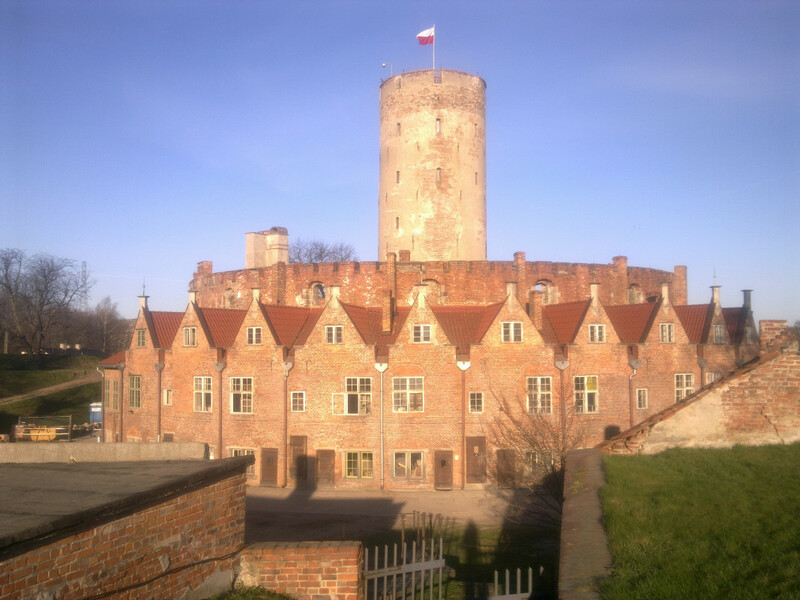 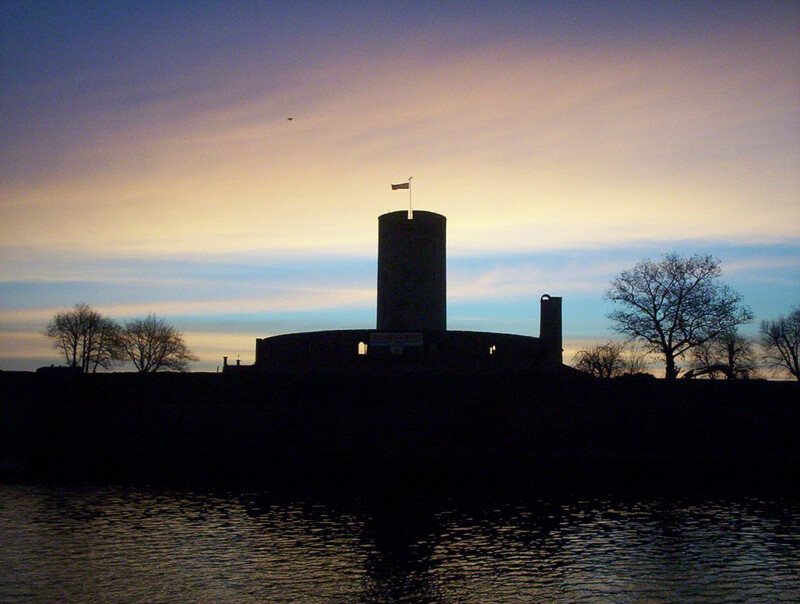 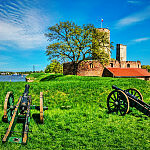 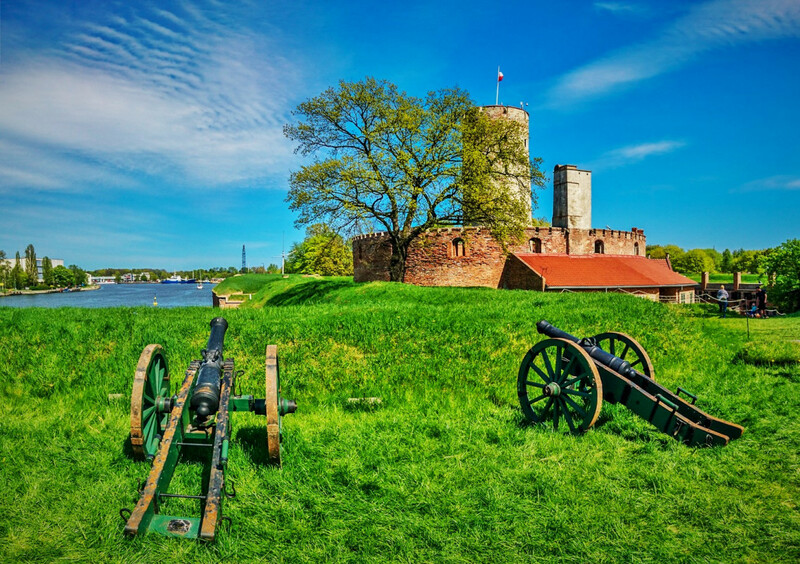 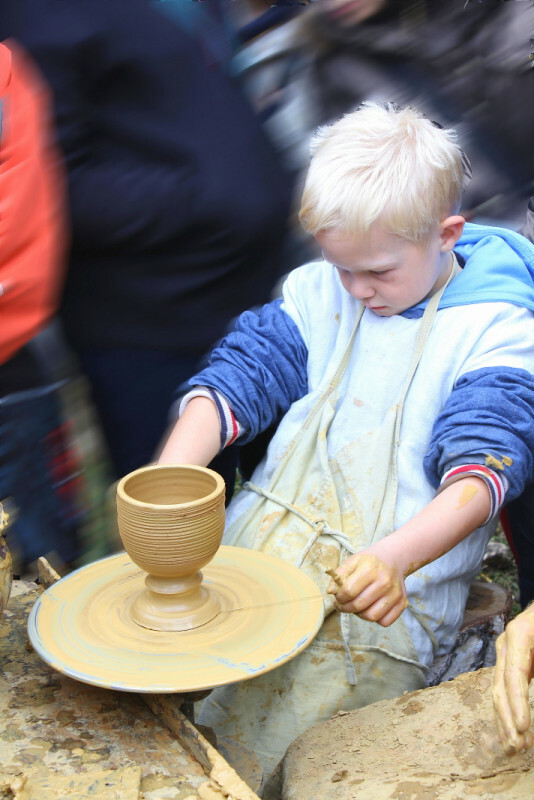 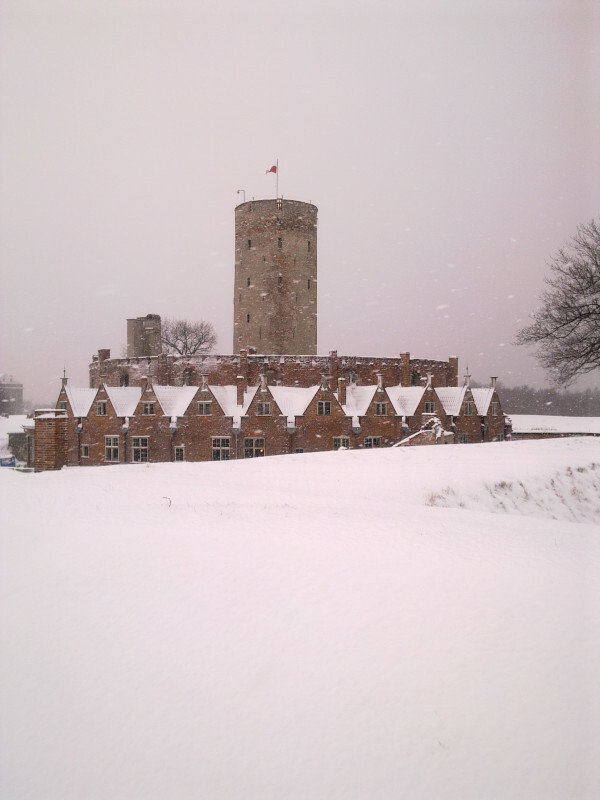 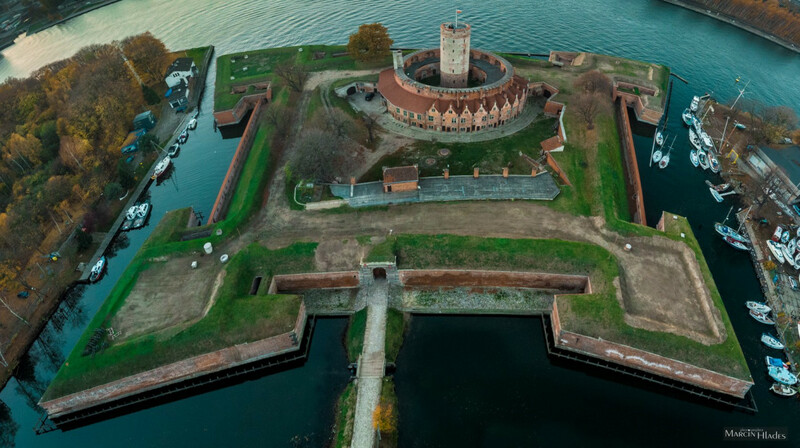 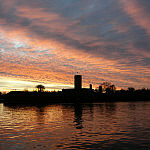 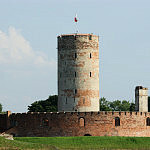 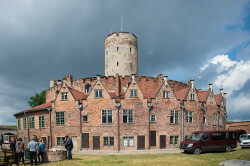 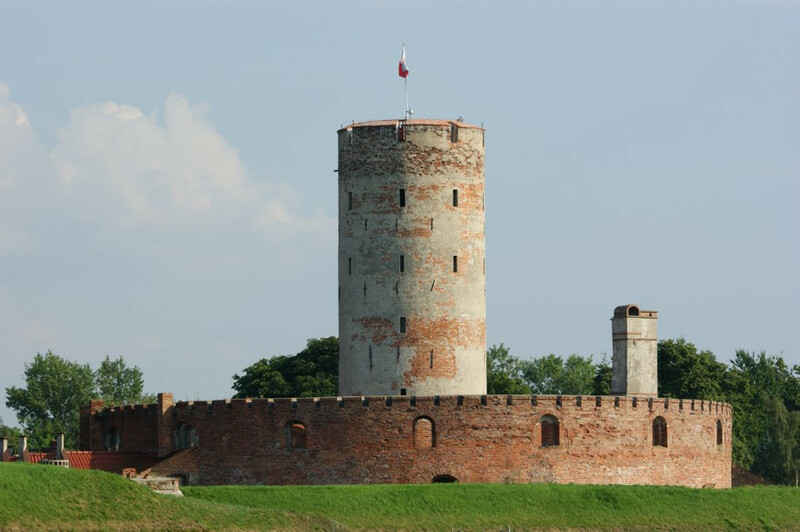 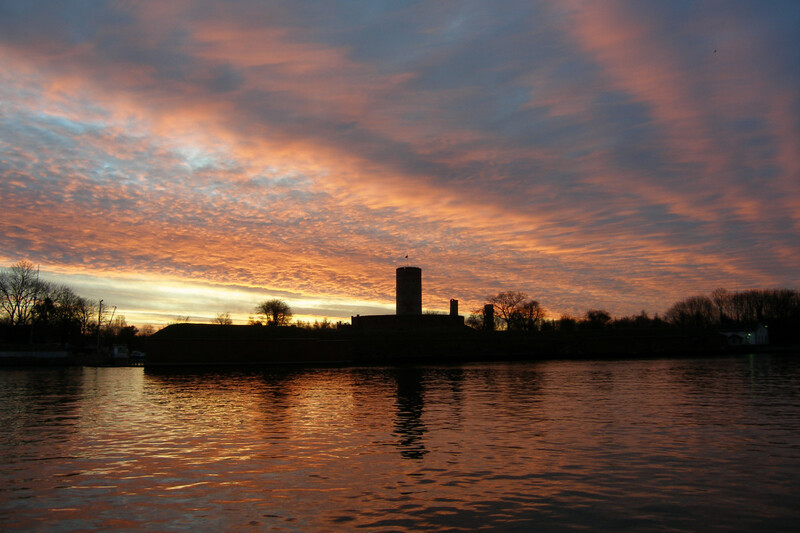 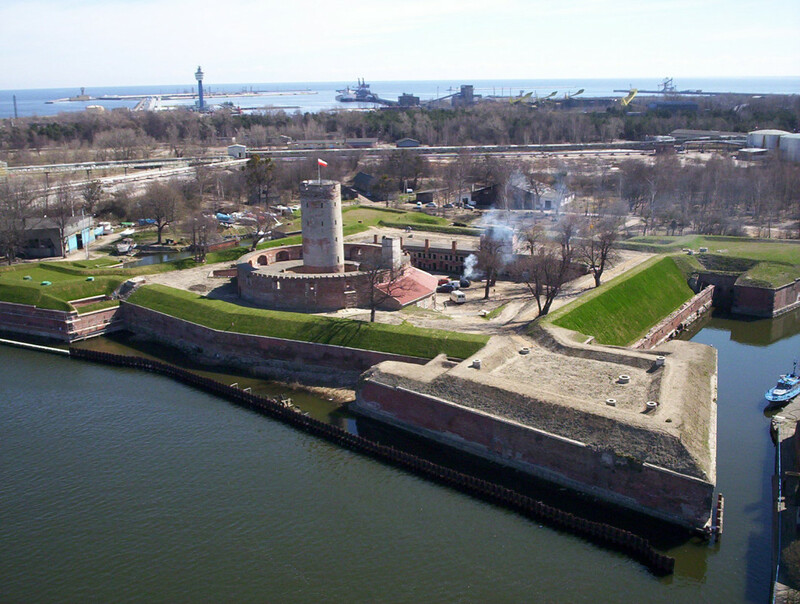 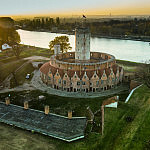 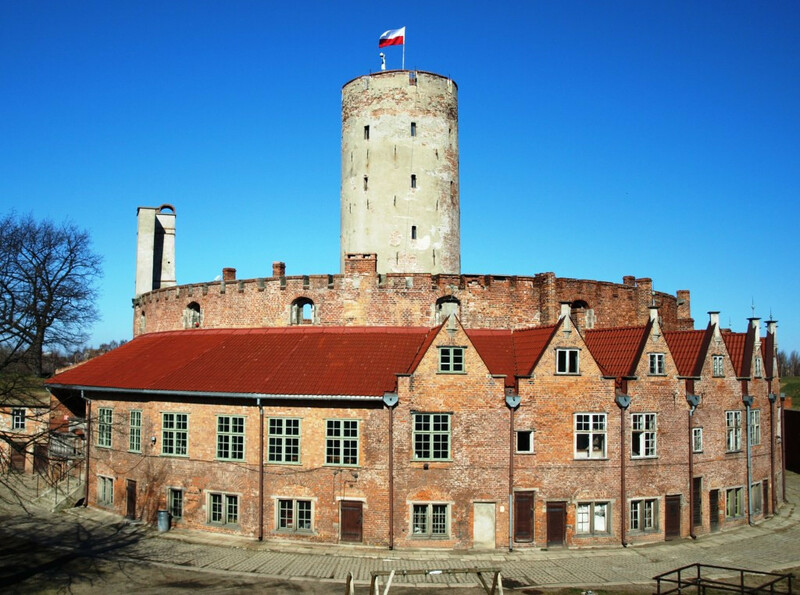 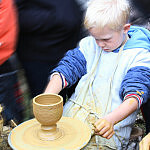 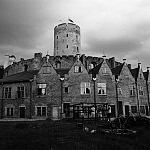 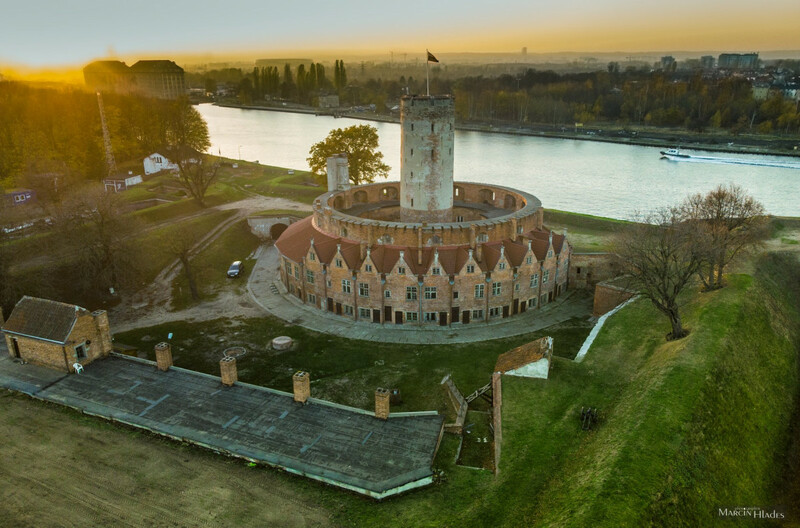 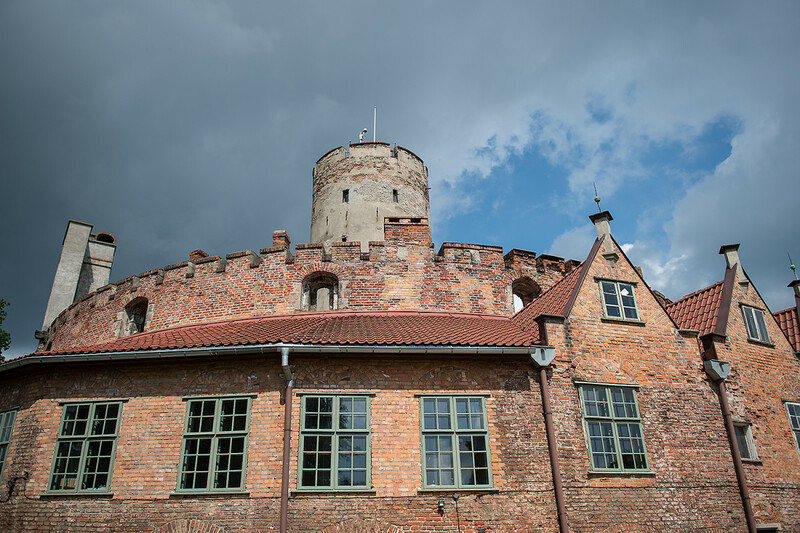 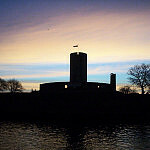 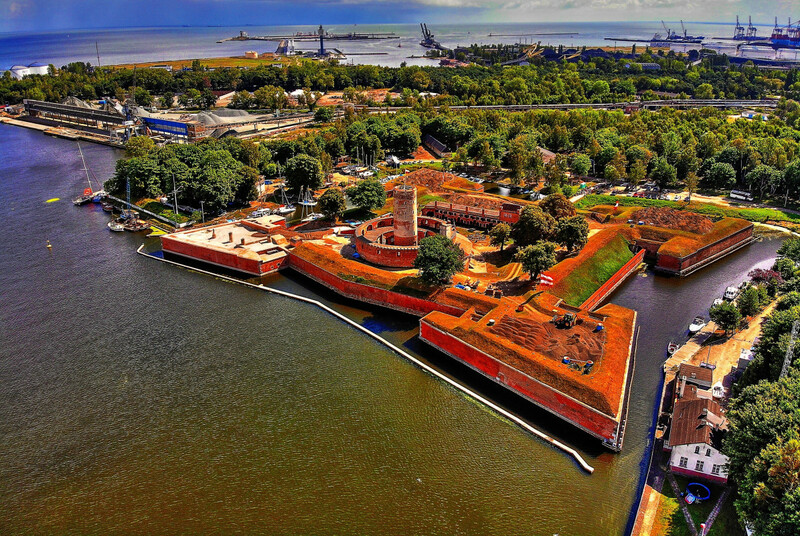 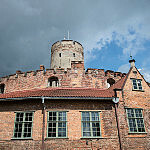 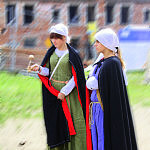 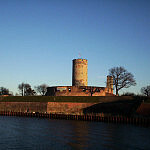 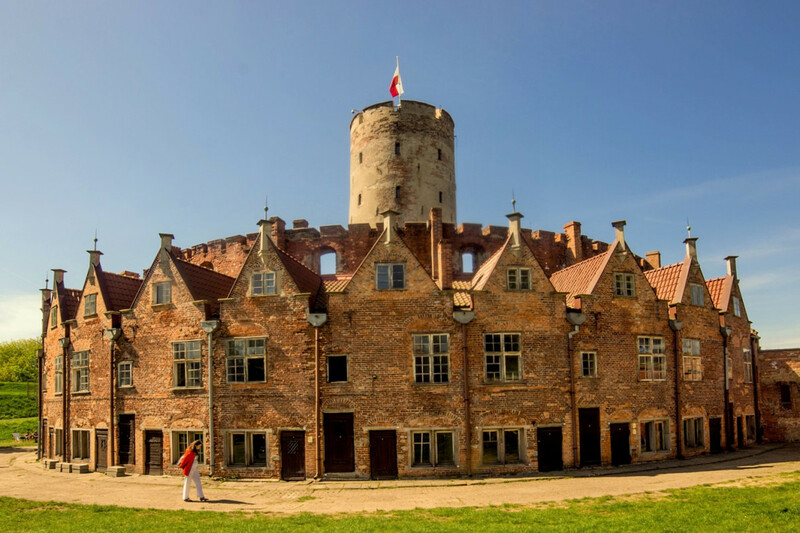 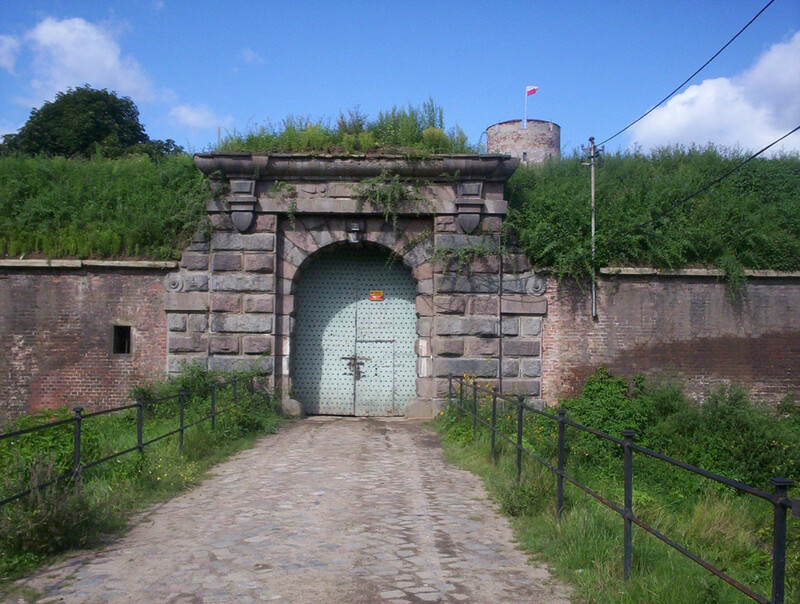 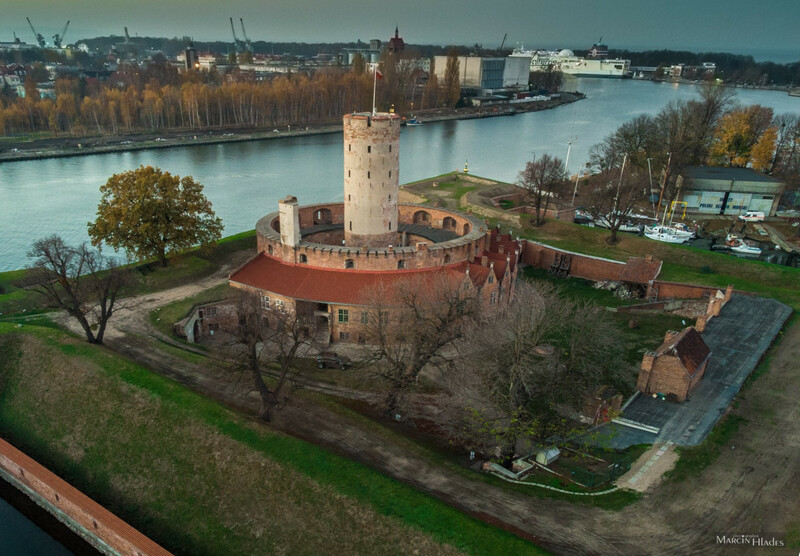 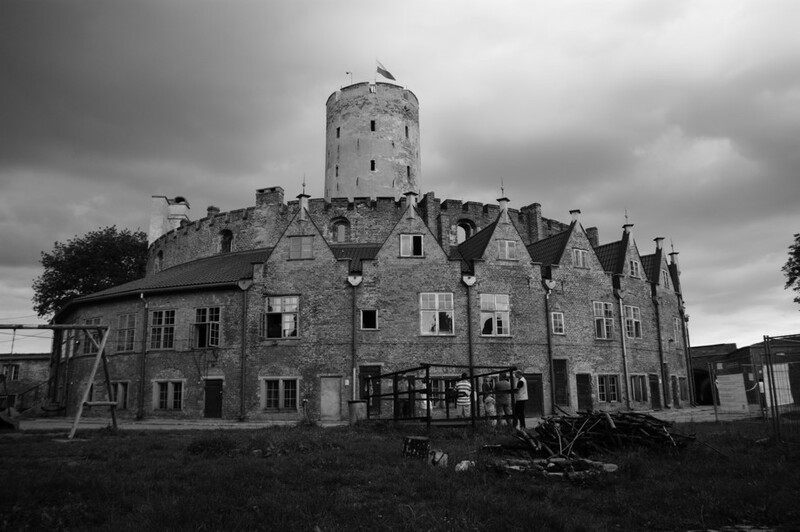 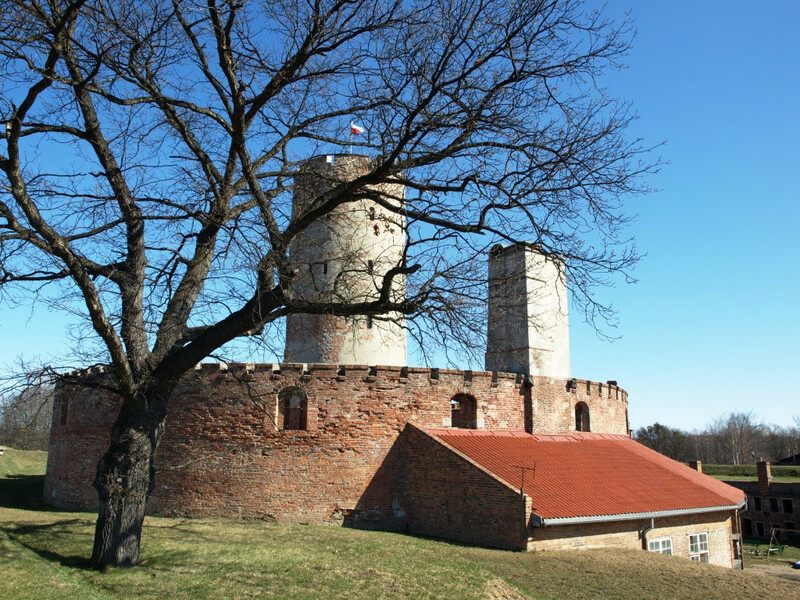 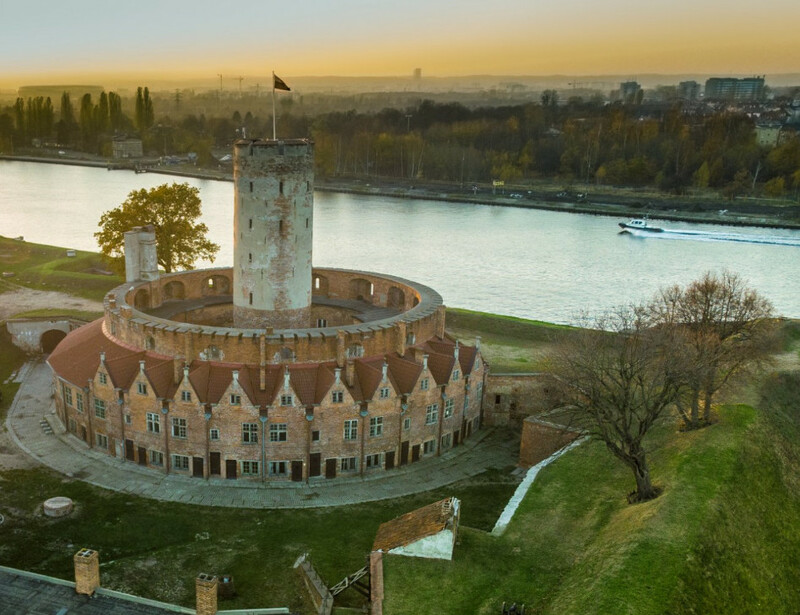 The Tower of Wisłouijście is due to open after a complete overhaul of Fort Carre and will be transformed into a museum and tourist area.